One week ago the Pr*tty Sh*tty iPhone App became available. And today I’m totally excited to share the very first pairing submitted via iPhone. Hopefully the first of many! 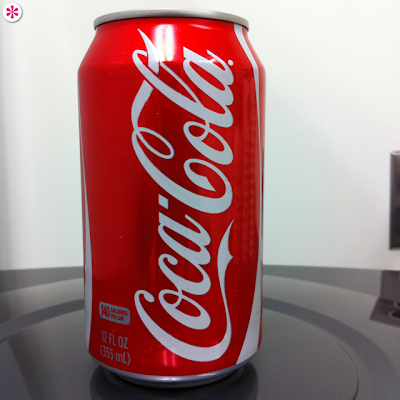 When Coca-Cola returned to this simple, elegant design for their cans, we all knew something good was happening over there at Coke HQ. And yet somehow, that goodness hasn’t managed to trickle down to the Cherry Coke Zero division. Cherries with holes in them... hmm... so the pits are where the calories are? And can I just take a moment to comment on typesetting each letter in the word “zero” in a different font/weight? And by comment I mean smack some sense into. A HUGE thank you to P*S* Reader and iPhone user Brent Morris for the submissions. Go here to learn more about contributing to the cause. And here to get the P*S* App. Not only is it a sh*tty looking design, the name of the product is out of order. It's "Cherry Coke Zero" but this can says "Coke Cherry Zero." That bugs me. Gah! I only just noticed that apart from the "playful" weight issues, "zero" is also a different font to "cherry." That is just horrific. Surely the weighting of the word ZERO is intended to show a loss of weight down to zero or a reduction in calories. Maybe advertisers are using this 'size zero' nonsense again! 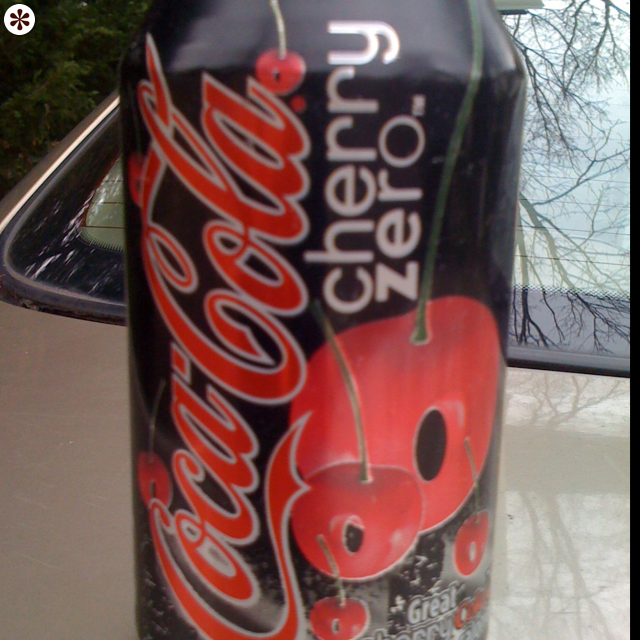 Cherry Zero... god, I have found that package horrifying for awhile. Mainly because I have a dirty mind and this can features a cherry that's been... well, it's got a hole in it. Coke Cherry has the exact same floating cherry design, but apparently still with pits. @Kelly: Awhile back, Coke decided to move all flavor descriptions to after the brand name, at least on packaging. Cherry Coke has been Coca-cola Cherry since at least 2007, with the Diet Coke version being called Diet Coca-Cola Cherry since 2005. This was done to emphasize the brand and product-line rather than the flavor. In fact, the only adjective allowed before the name of a brand seems to be "Diet" and most diet versions, other than Diet Coke, have moved over to the "Brand Zero" version of the name (Diet Sprite is Sprite Zero, Diet Vault is Vault Zero, etc). At least we weren't subjected to the drain swirl o. Officially, 'Zero' is set in Avenir, but that is def not an Avenir lower-case R.